Is there any other sport where the top participants are called "Elites"
Olympic Trials or Indoor World Champs?! Video Highlights From Last Week’s Pro Track/Road/XC Action Includes the Tokyo Marathon, some cool XC shots from the “Five Mills” XC race in Italy and Renaud Lavillenie failed PV WR attempt. How Accurate Is “McFarland, USA”? 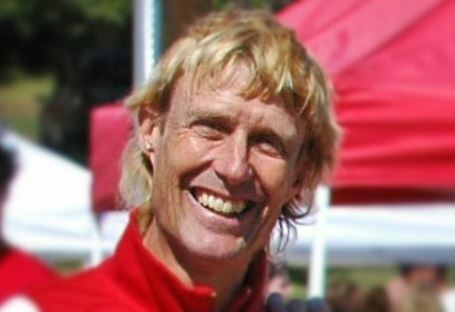 : US XC Legend Craig Virgin Lays Out The Connection Between Distance Running And Farm Work Virgin spent his high school and college years working on a farm, so he knows what it’s like and said the movie stayed true to that. He pointed out some other inaccuracies, but overall recommended it. Updated Cas Loxsom The Bridesmaid No More – He Breaks American 600m Record To Win His First USA Title Cas Loxsom got his first national title in grand style, breaking the American record, and coming within shouting distance of the WR. 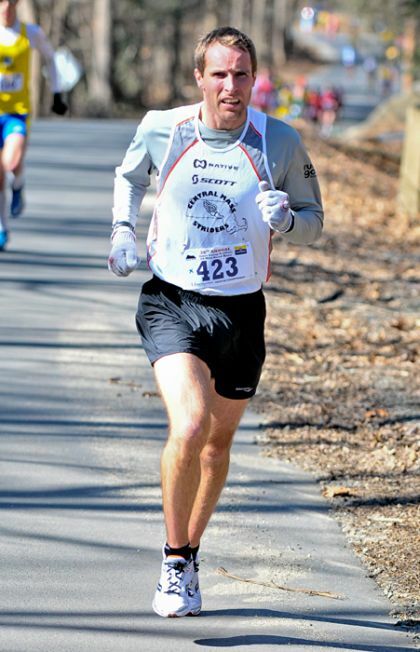 RRW Race Results Weekly Sunday Recap: Rowbury Completes The Double Coverage of all the distance events. LRC Ryan Hill Runs 25.77 Last 200 To Win His First “Real” National Title In 2-Mile Ryan Hill went 25.77 the final lap to win his first “real” national title over Ben Blankenship and Evan Jager. LRC Men’s 600 And 1,000 Favorites Roll On – Post Race Reaction And Who Is Thomas Scott? 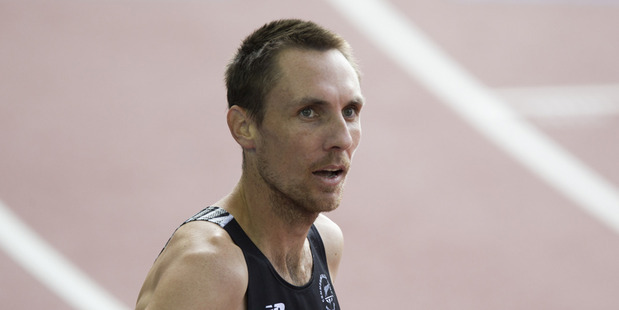 Plus 600 American record holder Cas Loxsom tells us whether he fears a 400 man or 800 man most in the final. *IAAF Recap Non-distance highlights: Jeremy Taiwo broke the MR in the heptathlon winning with 6273 points. Manteo Mitchell and Natasha Hastings won the 300s, Sam Kendricks the PV, Will Claye (LJ), Christian Cantwell (SP). 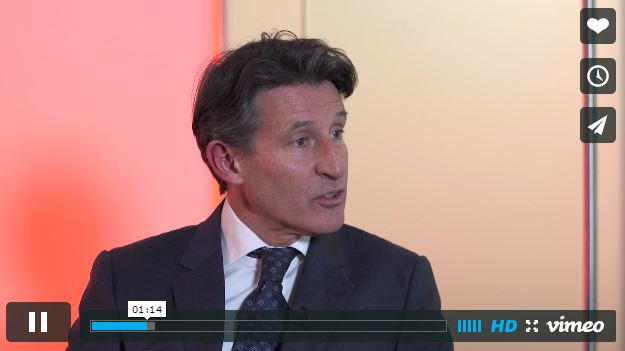 What Is It About 400 Hurdlers And The 800? Czech Republic’s World Champion Zuzana Hejnova Runs 2:03.60 In Her First 800 In 3 Years It was a PR by over 4 seconds (this article incorrectly says 8) and she will now be racing it at Euro Indoor Champs this week. Earlier In The Week: Ryan Whiting Breaks New Zealand All-Comers Record In The Shot Put He threw 21.03m, beating NZ’s world indoor bronze medalist Tom Walsh. The Story Behind Shannon Rowbury’s Eye-Catching Lipstick She used the lipstick in homage to her grandmother, who passed away in February 2011. *OTB: Shannon Rowbury’s Lipstick-What The Heck. And what color is it, Fusha? *Rowbury wearing lipstick????? Toni Reavis: “Racing Rules At USATF Indoor Champs” Reavis writes about the meet and the great excitement that can come from races without pacers. 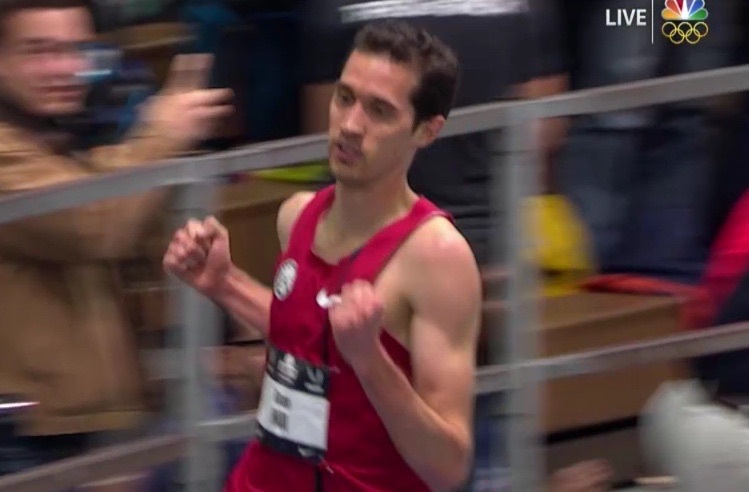 Updated Centro Wins His First Indoor Crown In Impressive Fashion Matt Centrowitz won his first indoor title impressively as Ben Blankenship was the runner-up for the second day in a row. LRC Shannon Rowbury Completes The Double; Alysia Montaño Is Officially Back; Ajee Wilson Falls Hard A fall marred the women’s 600. 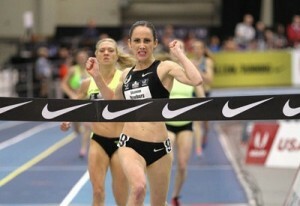 Shannon Rowbury needed no help in the women’s 2-mile. *Boston Globe: Collegiate Record Holder Demi Payne Surprises Pole Vaulting Field Payne won with 4.55m as Jenn Suhr no-heighted after pulling out with an injury. 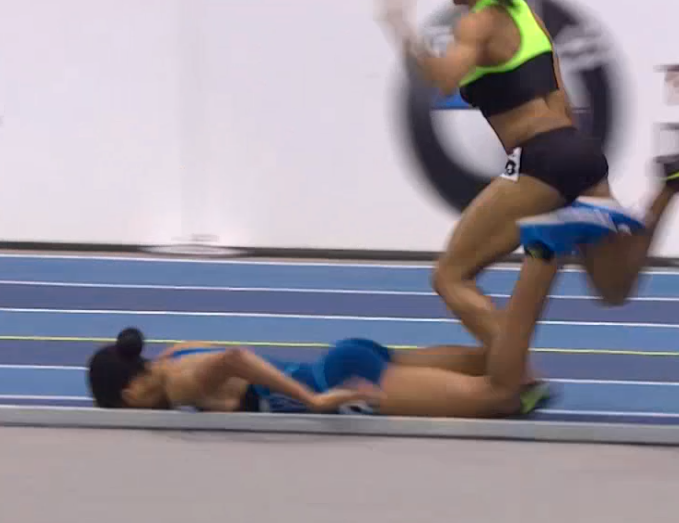 *IAAF Recap Non-distance highlights: Michelle Carter‘s world lead in the SP (19.45m), Tianna Bartoletta (7.08) and Marvin Bracy (6.55) in the 60m. Kenya’s Samuel Ndungu Runs 2:09:08 To Regain Lake Biwa Marathon Title 3 Years After He First Won There were still 40 runners in the lead pack when they went through 20K in 1:01:12 (2:09:07 marathon pace), but Ndungu won by over 2 minutes. 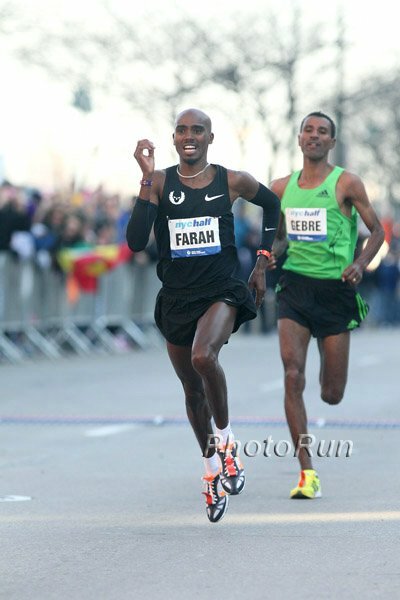 2:04 man Bazu Worku was back in 7th (2:13:32). *Bizarre: Pacemakers Did A Terrible Job As The Pace Was All Over The Place And One Almost Took The Leaders The Wrong Way Apparently the elites kept passing the pacers and telling them to speed up. 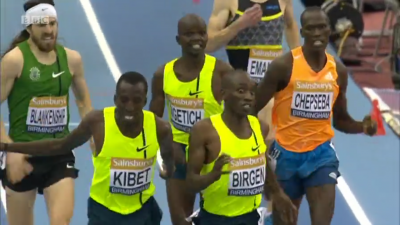 One pacer helped Ndungu out, though, by loaning him his watch before dropping out. Kenyan Robert Chemosin Runs World Leading 59:37 To Win Rome Osita Half Marathon In A Close Race With Simon Cheprot (59:39) Geoffrey Kusuru was 3rd in a Ugandan NR (59:43). 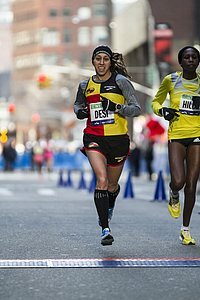 Ethiopia’s Amane Beriso took the women’s race in 1:08:43. Tadashi Isshiki Wins Japan National University Half Marathon Champs In 1:02:11 There was only a 5-second spread between the top 4 and the top 27 broke 1:03. 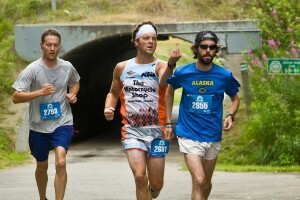 159th place was 1:04:59; 265th place 1:05:59. The Telegraph Asks Who Was The Most Stylish Sportsman Of All Time? 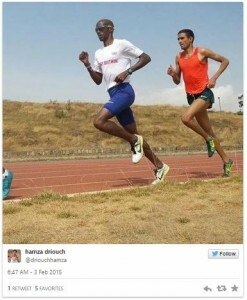 Usain Bolt, Michael Johnson and former GB world champ hurdler Colin Jackson were on the list. Ah, To Be Young And Naive: Nigerian 15-Year-Old Eying Usain Bolt’s 100m WR He is quoted as saying the record is 9.88 seconds, so someone might need to break it to him that he’ll need another 3 tenths on top of that. 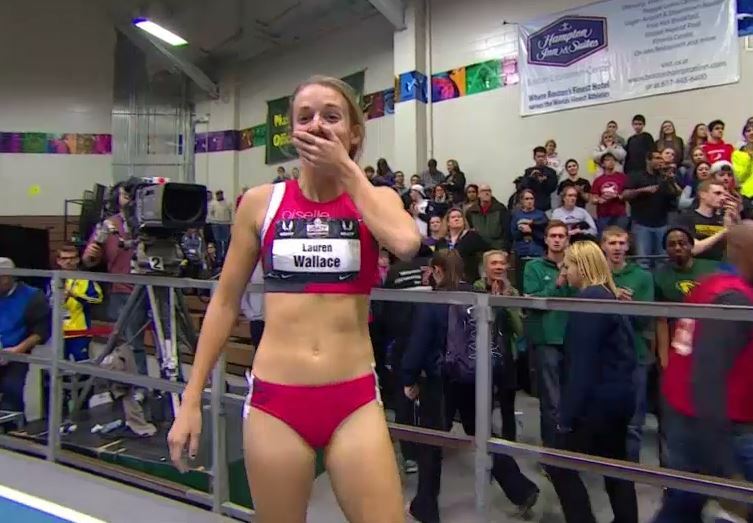 LRC A Confident Shannon Rowbury Wins 2015 USATF Indoor Mile Title To Stay Undefeated Vs. 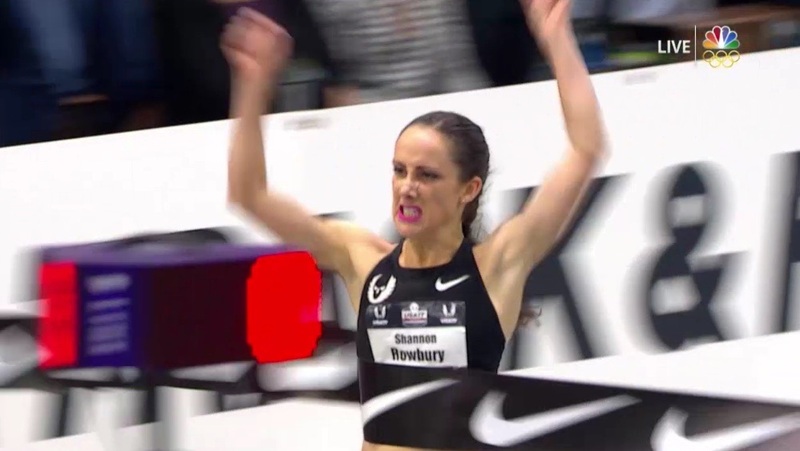 US Competition In 2015 Rowbury won the US mile title over a fast-closing Katie Mackey to stay undefeated vs. US competition in 2015. Rowbury will go for the 2-mile double tomorrow. 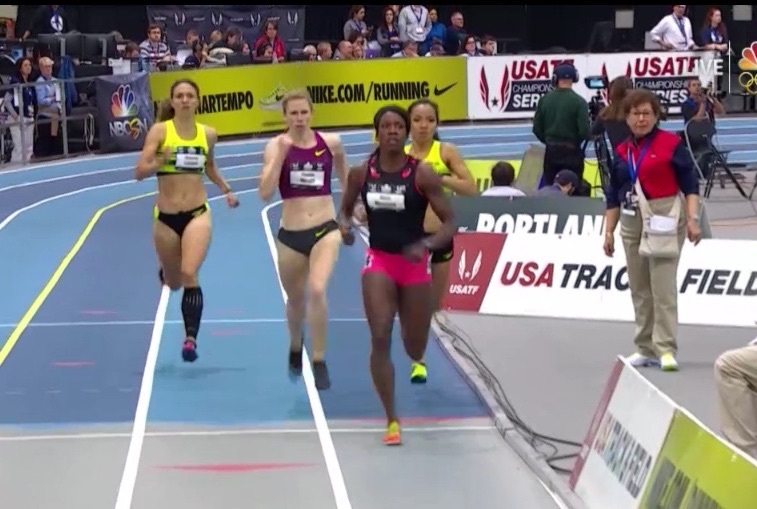 LRC Mother Alysia Montano, Ajee Wilson Advance With Ease In Women’s 600; Charlene Lipsey Leads 1,000 Qualifiers, Alexa Efraimson Advances Reaction and interviews from Montano, Efraimson, Wilson, and Lipsey after they all advanced to their finals. *Villanova Women Win 14th Big East Indoor Title Georgetown’s Samantha Nadel won the 3,000 in 9:05. MPSF: *Results *Men Of Oregon Win MPSF Champs Washington got wins from Aaron Nelson (5,000 – 13:53.80) and Izaic Yorks (mile – 3:57.81). *MB: MPSF 3000: 10 guys under 7:56!!! Oregon’s Jeramy Elkaim won in 7:48.48. *Oregon Men Run NCAA-Leading 9:27.02 DMR The team of Edward Cheserek, Marcus Chambers, Johnny Gregorek and Eric Jenkins ran the 5th-fastest in NCAA history. *USC Women Win MPSF Stanford won the women’s DMR in 11:02.98. *Harvard Women Three-Peat At Ivy League Champs *Full Results Dartmouth’s Dana Giordano won the mile in 4:36. Big 10: Results *Ohio State Women Get Big 10 Crown *Results Leah O’Connor wins mile (4:32.29). *Nebraska Men Win First Big 10 Indoor Title Penn State’s Robby Creese won the mile over teammate Brannon Kidder. Mason Ferlic took the 5,000 in 13:58.77, just beating Malachy Schrobilgen (13:58.82) and Matt McClintock (13:59.92). Big 12: Results *Longhorn Men & Women Sweep Big 12 Edward Kemboi took the 800 (1:48.68). SEC: Results *Arkansas Women Win Dominant SEC Crown Dominique Scott (4:32.49 – mile). *Gator Men Win SEC Championship Winners included Kemoy Campbell (5K – 13:44), Ryan Schnulle (800 – 1:48.25). ACC: Results *ACC Championship Returns To Clemson Colleen Quigley took the mile (4:36.23), Molly Seidel the 3,000 (9:10), Florida State the DMR (11:09). *Virginia Tech Men Claim Their 3rd ACC Indoor Title *Results Virginia Tech’s Thomas Curtin ran 7:52.92 to beat Martin Hehir (7:53.15) in the 3,000. Big 12: Results Baylor’s Rachel Johnson won the 5,000 as OSU men (9:37.31) and women (11:16.86) won the DMRs. For the men Oklahoma was a close 2nd (9:38.65). SEC: Results In the men’s 3,000, Kemoy Campbell won in 8:00.27 over Arkansas teammate Stanley Kebenei (8:02.64). Arkansas’ Dominque Scott won the women’s race (9:17). ACC: Results Syracuse’s Martin Hehir (13:57) and Notre Dame’s Molly Seidel (15:55) won the 5Ks.